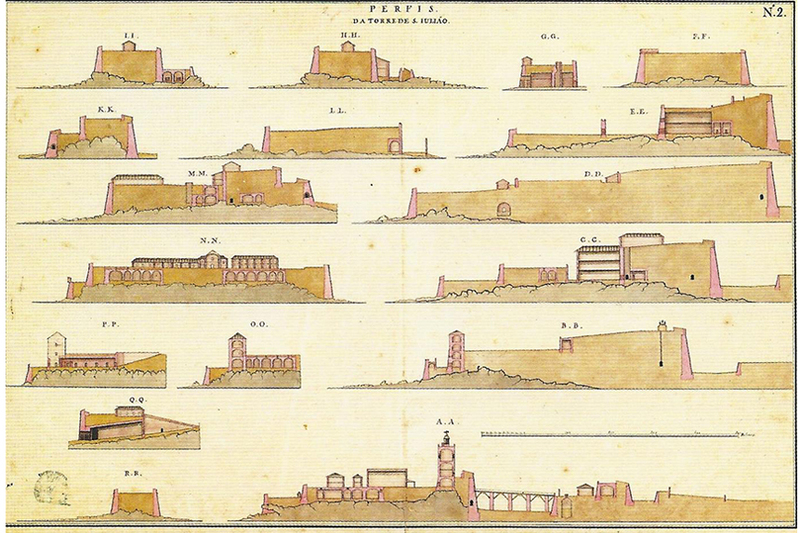 Fort of S. Julião da Barra. Sections. By tradition an University Campus is an urban body normally inserted in the urban fabric or in the pleasant rural suburbia. It has the condition of a Landscape, urban or rural, because it has its own dimensions, scales and processes. It can be an urban hard landscape, like Sorbonne, U. Penn or King’s College, or a suburbian rural landscape like Cambridge or Oxford. 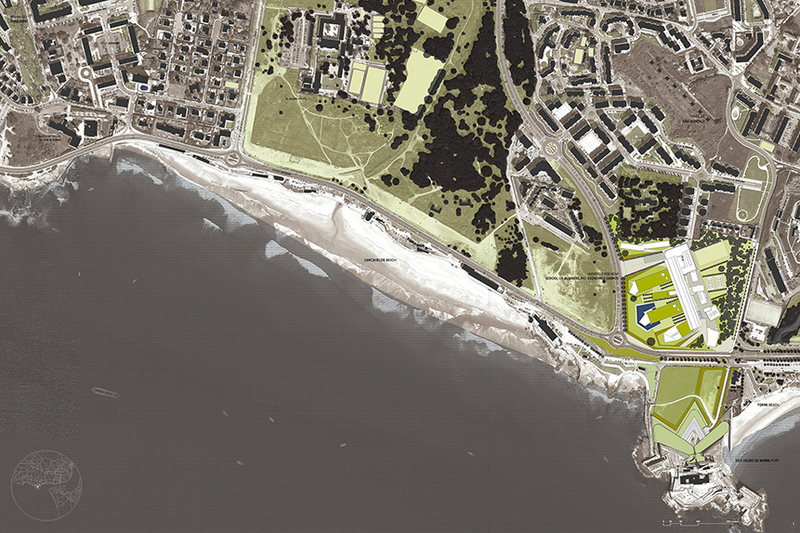 But what University Nova of Lisbon is aiming is to approach a new Campus type, much closer to the Oceanic coastal beach Landscape, inserted on suburban riviera, in proximity with the old S. Julião da Barra Fort (by the architect Miguel de Arruda, 1553/1579). 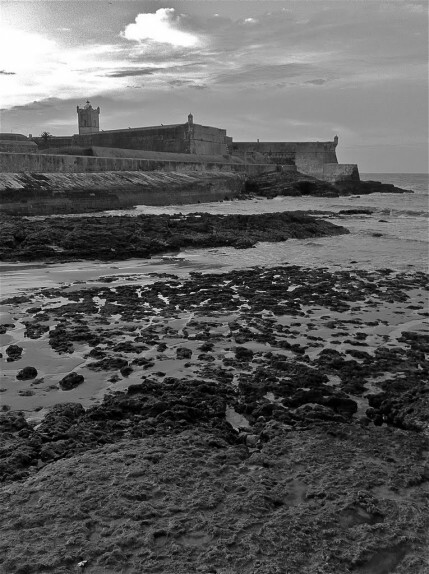 This is an amazing place, made of the imposing Fort dominating the entrance of Tagus River, the long arc of Carcavelos Bay and beach, in contemplation of the Atlantic and the far Espichel Cape. 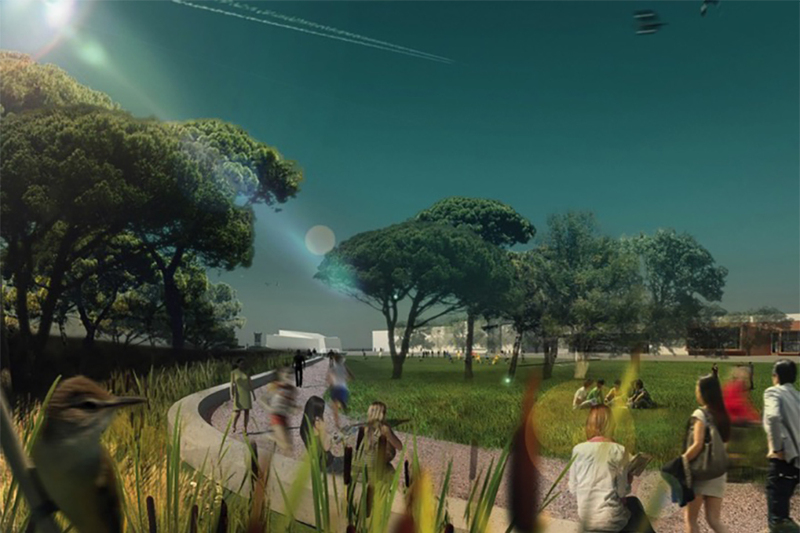 The site, along with the St. Julian’s School Campus, is a large strip of Landscape Pine woodland that creates a transition and protection of Carcavelos agglomeration. This transition has been preserved of construction for Heritage and Military restrictions, considering the proximity of the Fort (HQ of Defense Ministry) and the NATO ex-HQ facilities. The woodland of Pines and Juniper, today decaying on quality and quantity, is still present involving St. Julian’s Campus and its sports fields and creates the background of the Bay,protecting the village from the Ocean winds and moist. 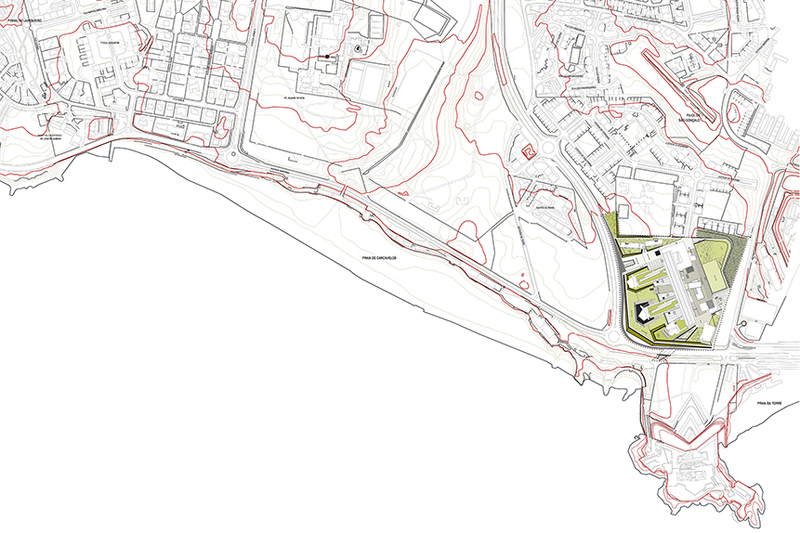 This is the Landscape context for the new SBE Campus, and the potential for a new Campus Type oriented for a new kind of University Lifestyle, embedded on the Urban region, framed in a Heritage Landscape, but fundamentally inserted on a Natural space of sandy beach facing the immense Atlantic, and backed by the immense presence of Sintra. The space of the new Campus has to be seen as a part of the coastal space of the Bay, in continuity with other landscape spaces like the woodlands of Estrada da Torre, the Campus of St. Julian College, and the sublime space of S. Julião Fort, with its bulwarks made of earth and stone. Today the empty space is crossed by wanderers walking from the close neighborhood of Quinta da Torre or Quinta dos Lombos, in direction to the beach. 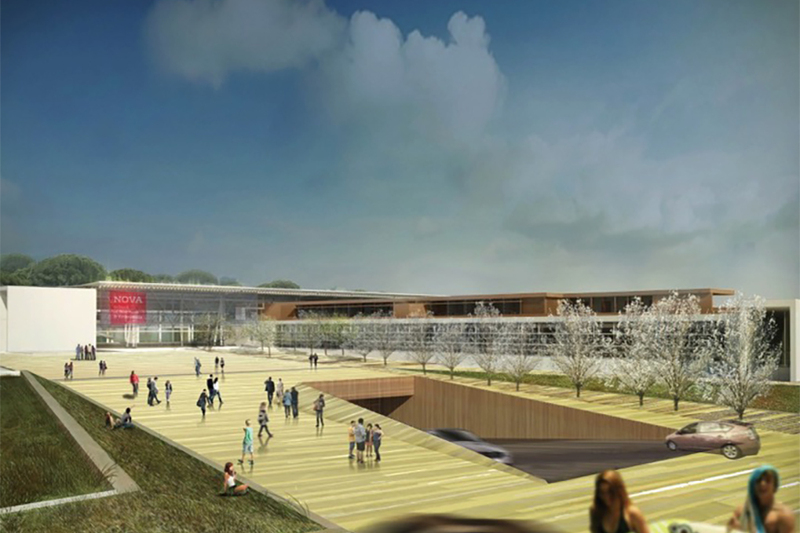 The new Campus is seen as an open space both to the new Academic Community and Carcavelos Community. In this sense there are no other limits than the surrounding roads or the topographic forms. 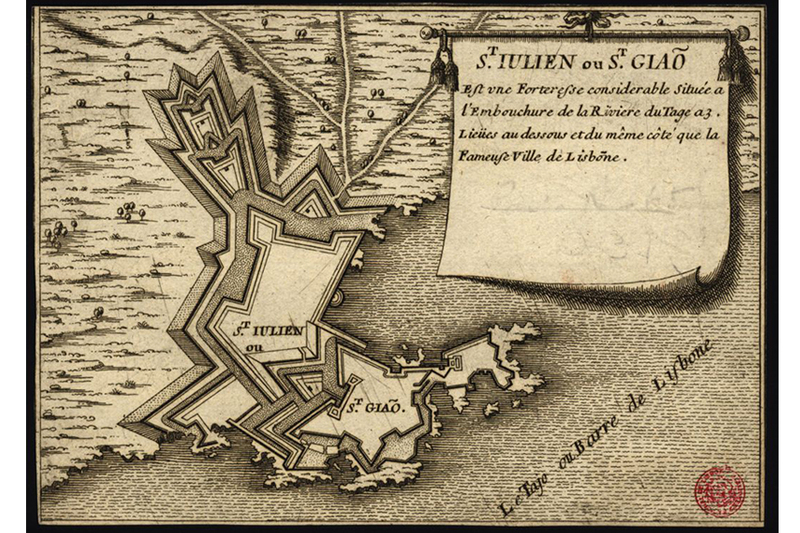 The Place could be described as sequence of ground platforms, with geometric trapezoidal shapes, leveled with the base bulwarks of the Fort. 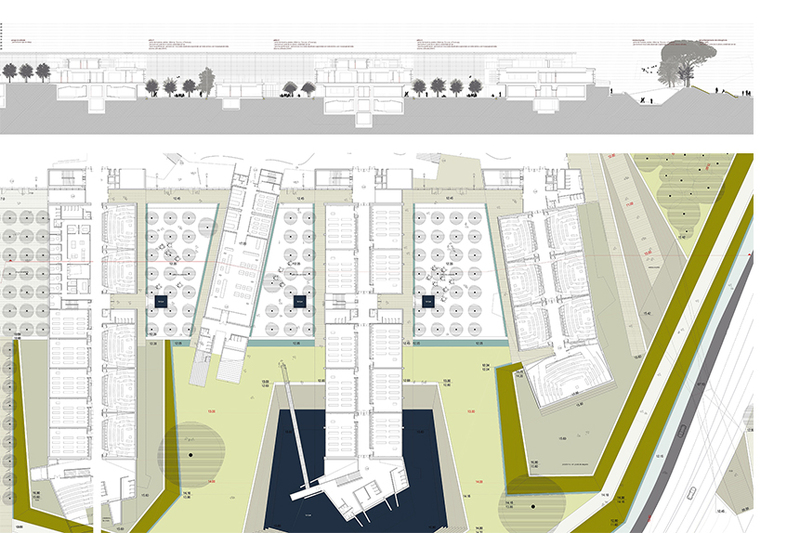 As a natural prolongation of the geometric effect of Fort Bulwarks system, this soft space receives and incorporate on the ground geometry the complex of buildings of the new SBE. 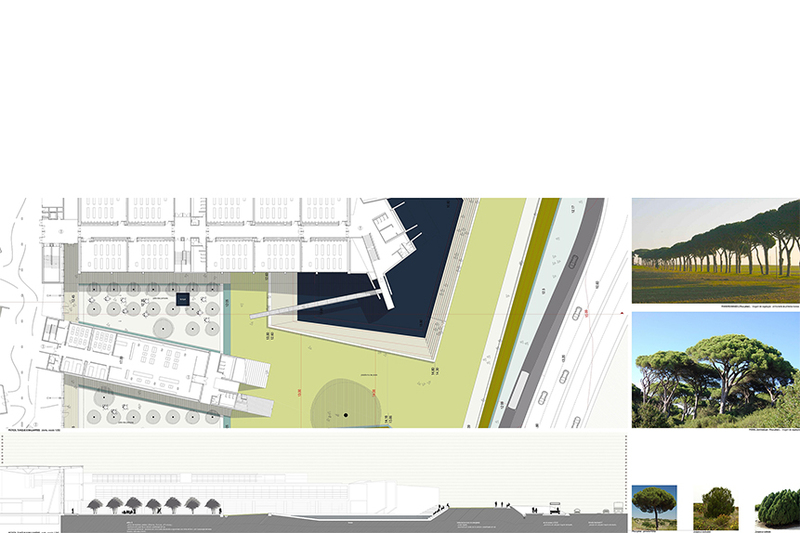 This new relation between the Campus and the Fort, submits volume in an hierarchic way, contributing to the integration of SBE on the pre-existing Landscape, considering the Bay as a unity. 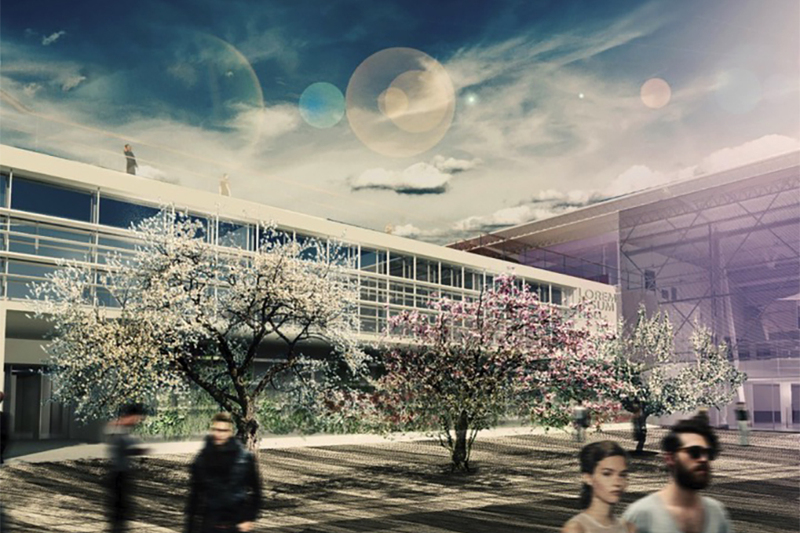 The actual depressed part of the ground will incorporate the basement spaces for parking or for auditorium volume, and receive the earth excavated to place the new constructions. Leveled in two major platforms, the topography of the East ridge stays free in its shape and covered by a Pine and Juniper woodland, while the level 17,00m will receive the sport fields in open contact with the level 0 of the school and its restaurants. The lower level 12,45m will contact to West in a platform rising to the 15,00m level in its geometric border. This platform is leveled with the bulwarks platform, creating a visual continuity, and obliterating the visual and acoustic presence of Marginal Road and the A25 connexion. Being at these platforms is being in continuity with the Ocean and the Mountain: to SouthEast the profile of Caparica ridge and Espichel Cape, to South the Fort prominent, to SouthWest the Beach and the Atlantic, to North West Sintra Mountain. Walking to the beach means 5mn passage under Marginal and the connection to Cascais or Oeiras Promenade. Walking to Train Station means 12mn or piking a shuttle. The open grounds of prairies to stay, to read, or to think, receive the four ‘fingers’ of the building and are centered by a large pentagonal water tank, who accumulates rain water to be used to irrigate, and milds the warm atmosphere. Groups of fruit trees surrounds the lower part and offers seating and staying. In the other side of the buildings are the lawns for sport fields, edged by fruit tree paths alignments, and limited from the woodland ridge by a path and a continuous bench. The woodland of Pine and Juniper is crossed by paths that leads to the crest path and the top belvedere. Articulating the two sides of the Campus Landscape is the central space of the learning street, the food courts and the main courtyard, articulating levels 0 and 1, as a kind of spine of Campus life. To North the close neighbour and the students residence, to the South the Auditorium block and the immense view of the Fortress. The access from the road is done through a paved large ramp, conducing to the entrance hall, the underground parking and temporary parking. 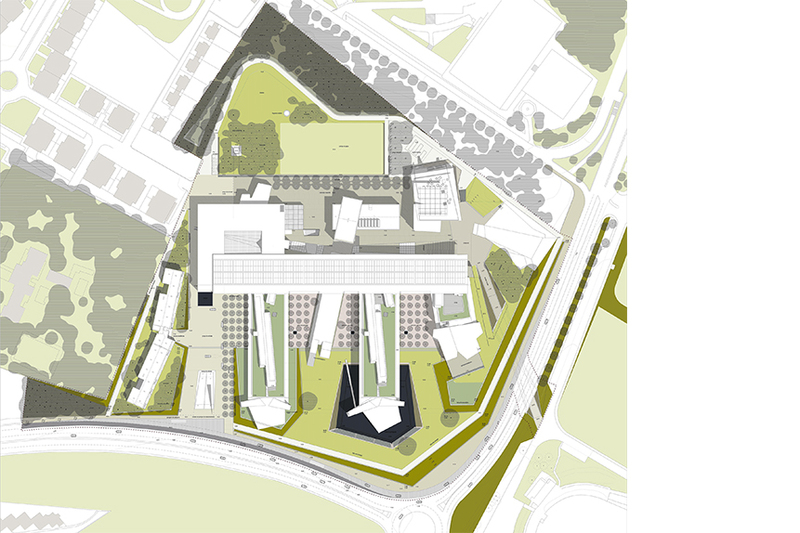 Integration, Flexibility, Amenity, Functionality and simple Management, are the key words for the new Campus of School of Business and Economics of Universidade Nova. Project Management: Teixeira Trigo, Lda.